Xero is the ultimate accounting software. It has all the accounting tools that you will need to help grow your business. If you already use Xero, then you know how easy it is to actively run your business, receive payments, and reconcile accounts. We’ve already shown you a few Xero tips in our previous post. Here are some more tips and tricks to make your Xero experience even more efficient. This feature will allow you to make highly customised roles for each member of your team. You would be able to cooperate with other team members without giving them access to your company’s sensitive information. Now choose one of the six options which range from Advisor (used for accountants and bookkeepers) to None. If you want to save time when creating various transactions such as invoices, quotes, or expenses, utilise the little plus icon. You can see this icon once you log into Xero. Here’s what it looks like. This feature will certainly help in making you and your team more efficient as it will save you time when doing these types of transactions. For any business, cash flow is king. Getting paid on time will allow you to smoothly run your business. 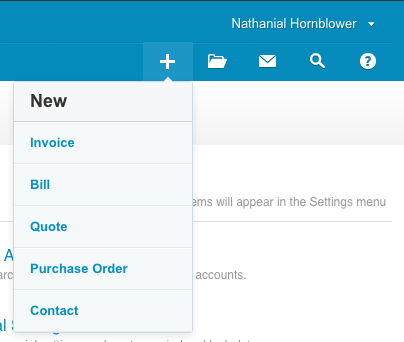 Instead of spending hours chasing overdue payments, Xero can automatically email reminders to your customers. You can also automate the sometimes awkward task of chasing payments. Click on Invoice Reminders Button. You will be able to configure your invoice reminders to automatically send to a specific customer once their invoice is past the due date. Hope these Xero tips help! Not yet a Xero user? They have a 30-day FREE trial. Try Xero FREE for 30 days here. If you need assistance tax accounting help for your business, contact a Chan & Naylor accountant near you, and we’ll be more than happy to help. Aside from property and business tax accounting, have a look at our other accounting and advisory services that we do to help you achieve greater success. If you liked our “More Xero Tips and Tricks to Help You Run Your Business” post, subscribe to our newsletter and stay in touch with us on Facebook, Instagram, and Twitter. Chan & Naylor Group has national offices in North Sydney, South West Sydney, Sydney, Pymble and Parramatta in New South Wales, Melbourne, Moonee Ponds and Hawthorn in Victoria, Brisbane and Capalaba in Queensland, and East Perth in Western Australia that can assist you with your property tax or business tax enquiries. Contact us today.